Yes, you read that right — Fall and Winter. It may seem crazy for us to be talking about getting your RV ready for Winter when the blistering August sun is beating down on us, but planning ahead is a good thing. After your last Summer getaway, when the color of the leaves begin to change and the kids head back to school, we can help you plan the proper maintenance for your RV with our Tech Tips. We want you to have the best and the smoothest transition you can have with your RV, so we’ve offered to give you some information that will be of help when starting to think about the upcoming months. 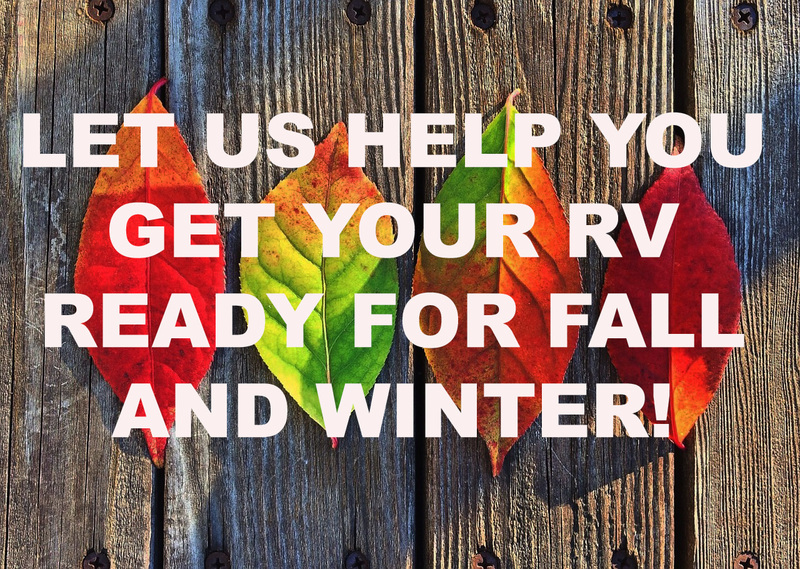 Even though Winter seems a long ways off, Fall is just around the corner, and we’ve got “before storing” tips to help you out to make sure your RV will be ready for when the time DOES come to winterize your RV. We’ve got everything from the initial storage tips, to actually winterizing your RV in easy bullet-point steps that will help you to understand what we’re talking about. You may be thinking this is too much! Maybe you read the tips and are overwhelmed with what you have to do to get your RV ready… well we can help you out with that, too! The last thing we want is for you to feel like you are dreading the upcoming steps you have to take to make sure your RV is safe for the winter months. So, we offer you our RV service as well. If you’re not interested in filling out the form right away to make an appointment, feel free to call us at 440-327-6911. Whether you’re wanting to do it yourself, or you want our help, we offer these Tech Tips and of course our RV service because we care about our customers. If you have any question for us at all, or need a few more helpful tips, contact us today and we’ll give you a call or email back.